There are a number of over the counter drain cleaners available. Some are conveniently sold in grocery stores, while others appear only on the shelves of home improvement stores. Before you reach for the nearest bottle to clear your clogged sink or shower drain, you need to know the difference between them. 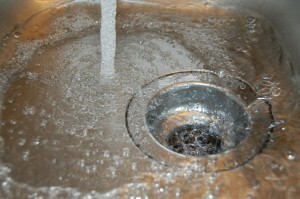 Enzyme-based drain cleaners are less expensive and easier to use. They consist of enzymes and special bacteria that eat away at the bits of food, hair and other debris that are clogging your drains. However, they do take a while to work, since the enzymes have to do their jobs before the drain and pipes are cleared. They also only work on organic material, so if your drain is clogged by something non-organic (like a piece of silverware that has fallen down it) this type of drain cleaner will not work. A citrus-oil based drain cleaner is far more environmentally friendly than the other varieties. Thanks to the natural degreasing properties in citrus oil, this cleaner will remove trapped grease, dirt and other unpleasantness from your drain. This type of drain cleaner usually does double-duty, and can be used as a cleaning agent for floors and walls as well – anywhere that grease builds. However, it is more expensive than both enzyme and bacterial based drain cleaners. A bacteria-based cleaner is similar to an enzyme-based one. However, the main difference lies in the fact that a bacteria-based cleaner is more concentrated. This means that it will work more quickly, but also that it is more dangerous to handle. Before you use a bacteria-based drain cleaner, you will need to put on a mask and gloves, because if the cleaner gets on your skin, it will burn.